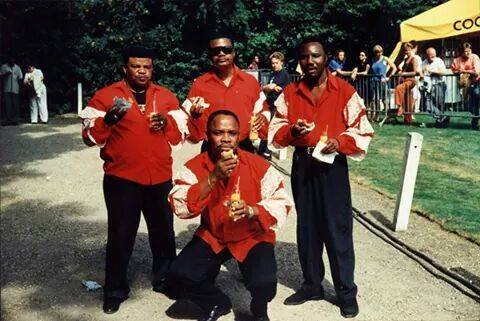 This picture was taken in 1991 when TPOK Jazz toured the Netherlands. Infront is Ndombe Opetum. Behind him are Madilu System, Lola Checain and Aime Kiwakana. 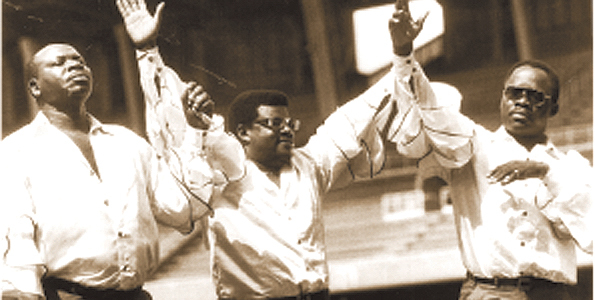 This was the TPOK Jazz tour of Kenya in 1991. 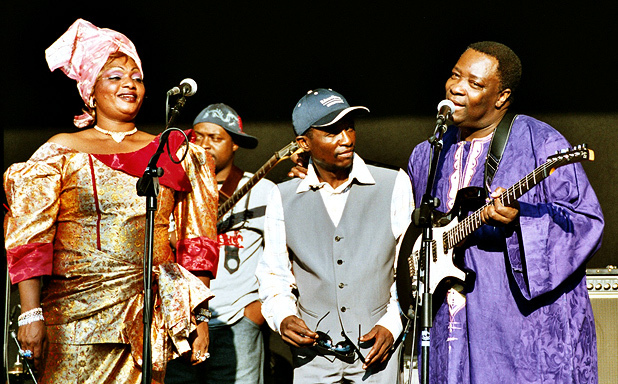 The concert was held prior to the Super Cup match between Gor Mahia and Rivatex. 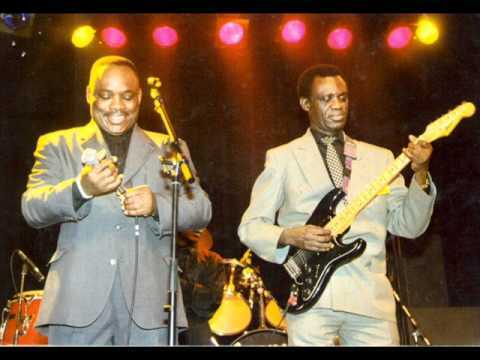 In this pic are Josky, Madilu and Ndombe opetum. 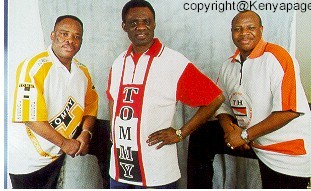 After the tour, TPOK Jazz lost all their money to a conmann after they had been paid by the promoter. They swore never to visit Kenya again. 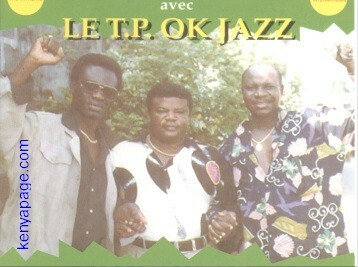 This was the cover of one of the last albums that TPOK Jazz released before there was a falling out with Madilu and Franco's family on one side and Simaro, Josky and Ndombe Opetum on the other side.